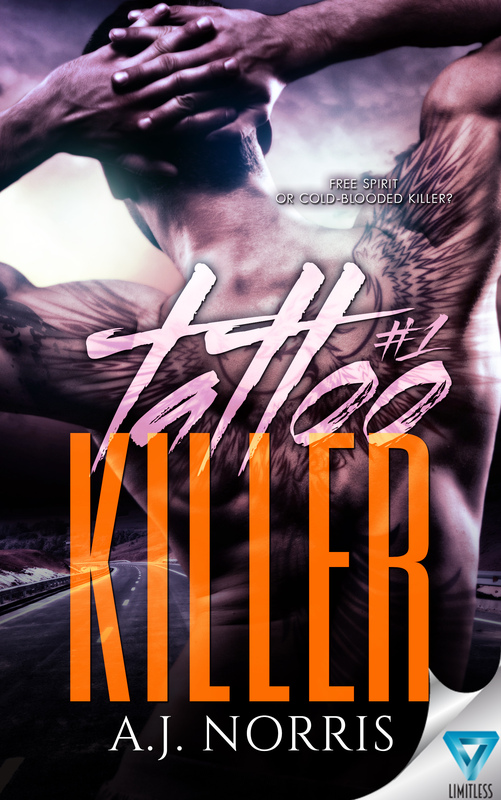 A tattoo artist and single father, Mikey becomes a suspect in a series of homicides thanks to an anonymous tip from his ex. The case against him seems straightforward, especially since Mikey is connected to the victims, but police detective Harry Hunter knows finding the psychopath isn’t that simple. The physical evidence doesn’t add up. After Mikey is released and amid the turmoil of his life, he meets Grace Bell, a beautiful divorcee, in a chance encounter. Grace is tired of living a rigid existence and wants to break free from the routine of her mundane life. The tattoo artist’s free spirit and charm quickly draw her into his world. From the back of his Harley, he teaches her how to let go and have fun, leading to a sizzling passion she never knew existed. Grace is unaware of Mikey’s part in the investigation of the local homicides, but when her estranged father, detective Harry Hunter, finds out who she’s dating, he’s quick to fill her in. Even though he thinks Mikey is innocent, there is a killer in Webster and he’s not stopping until he gets what he wants. Every victim is connected to Mikey, and her father fears Grace will be next.